The 5 Best Reggae Artists of All Time – Surely you are familiar with this music genre. Yes, reggae, relaxed rhythmic music and very cool to hear. Suitable for an emotional mood, to be a little quieter. Reggae is a music genre that originated in Jamaica in the late 1960s. Ok, This time we will discuss about best reggae artists. In general, reggae music is synonymous with a relaxed tempo and mixes many musical instruments such as electric guitar, bass, drums, keyboard, saxophone, trumpet, guiro, jimbe, maracas and tambourine. 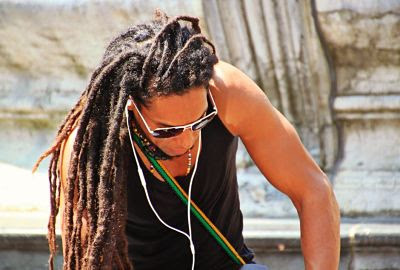 However, the most peculiar thing of reggae musicians is his dreadlocks hair. Then here are the 5 best reggae artists of all time. Of course, he is the most famous figure in reggae music, the best reggae artists ever. This man was born with the name of Robert Nesta Marley. Bob Marley was born February 6, 1945. Bob recognized his role that has brought Jamaican music and Rastafari Movement to the world. “No Woman No Cry” became the most popular song in Jamaica as well as in the United States. Dennis Brown has recorded more than 75 albums, since his emergence in the music scene in the late 1960s. He is the most beloved star for rock and reggae music. Her single titled “Money In My Pocket” in 1977 was at number 14 on the UK charts. Sizzla Kalonji is the most commercially successful artist and a critical contemporary of reggae music. He began to develop its own style in music with the Caveman Hi-Fi sound system. And He has used music as a medium for his message, helping to drive a recording career in 1995 with a release through the Zagalou label. He then teamed up with Bobby ‘Digital’ Dixon’s Digital Bimprint for a series of singles. To date, Sizzla has made 65 albums. Jimmy Cliff is the first reggae musician to spread the music around the world. The song titled “Wonderful World” reached the 6th position in England and 25th in the United States. In 2003, Jimmy was awarded the Order of Merit by the Jamaican government for his contributions in the field of music and cinema. Peter Tosh was born on October 19, 1944, and is an original Jamaican musician similar to Bob Marley. Before becoming a famous singer, Peter studied for free to Joe Higgs, until finally formed the band “The Wailers”. In his career, Peter has made 7 studio albums. That is a brief review of the 5 best reggae artists ever for the development of reggae music. Very good if used as a reference for you. Until now there are still many fanatic fans who love this music. Hopefully you can increase your knowledge about music, and always love music. Good post. I be taught one thing much more challenging on totally different blogs everyday. It will all of the time be stimulating to learn content from other writers and apply slightly one thing from their store. Id desire to use some with the content on my weblog whether you dont mind. Natually Ill give you a hyperlink on your net weblog. Thanks for sharing.